The earliest record of a meeting taking place at Caxton, near Cambridge was in 1931. 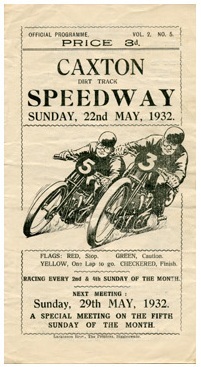 The team operated as an Open team throughout the 1931-32 season and races took place on Sundays. The very rare programme shown below is from a meeting that took place on 22nd May 1932.